The seeds of jackfruit can be a potentially low-cost substitute for cocoa beans! 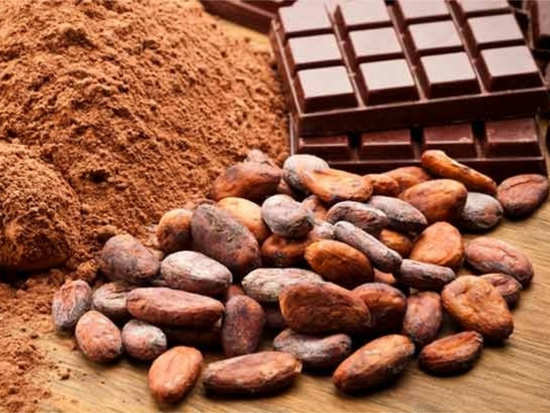 Considering the worldwide demand for chocolate, it should come as no surprise that the demand for cocoa is way higher than what is being produced. And study findings that have been published in the American Chemical Society Journal of Agricultural & Food Chemistry have pleasantly surprised chocolate lovers all around the world. What's that, you ask? In most places around the world, jackfruit seeds are wasted and thrown in the trash. Globally, farmers produce about 3.7 million tonnes of cocoa annually, but estimates suggest that demand for these beans will grow to 4.5 million tonnes by 2020. Researchers who were looking to substitute cocoa beans with jackfruit seeds found that the compounds found in the jackfruit's seeds produced the same aromas as processed cocoa beans and therefore could potentially be a cheap substitute for use in chocolate manufacturing. The Brazilian researchers made jackfruit seed flours by acidifying or fermenting the seeds prior to drying. They roasted these flours for various times and temperatures using processes similar to those used to enhance the chocolate flavour of cocoa beans. While there are several reports on how jackfruit seeds can be used to produce starch, “for the first time we found that after roasting, jackfruit seeds imparted an aroma similar to that after roasting, jackfruit seeds imparted an aroma similar to that of chocolate,” the researchers stated. And thus they concluded that jackfruit seeds could be a potential replacement for cocoa beans. Can vaping help you inhale nutrients? 8Can vaping help you inhale nutrients?